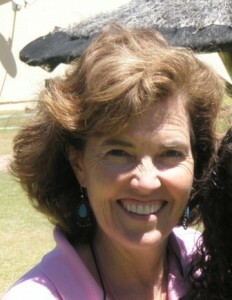 Suzanne Leighton has been working in the field of holistic medicine since 1989. She has a special interest in mental health (Bipolar Disorder, depression, suicide, mania, self harming) and the transition into parenthood (pregnancy, birth preparation, baby massage, post natal depression, infertility). She trained as a professional yoga and meditation instructor in Hong Kong, also studying other complementary practices. In the UK, she was registered with the British Complementary Medical Association and is registered with the Allied Health Professionals Council (SA) in aromatherapy and reflexology. She is also a Reiki master and a registered teacher with the British Wheel of Yoga. What would a session/treatment process involve? During a treatment Suzanne Leighton establishes where the client is physically, emotionally and mentally and what they would like to deal with. She is led by them and deals with what presents that day. A safe space is created to support the client in their healing process and journey towards balance. Counselling is combined with aromatherapy massage and reflexology which enables deeper healing than what can be achieved by talking alone. Many medicals will pay for the treatment as I can supply a practice number and an ICD10-code which they require. Presently Suzanne is using her skills in large group dynamics to run workshops at schools, in various communities and in the corporate environment to initiate conversations about mental health; the difficult topics of suicide, depression, mania, Bipolar Disorder, self harming and emotional instability. Workshops are facilitated conversations, called “Integrating Polarities”, and can be arranged by contacting her. Information about the art and narrative group therapy workshop called “The Hero Book” can be viewed here. There is still space if you know anyone who might like to join the group later this month. Answer the above for SPAM prevention. Thank you.